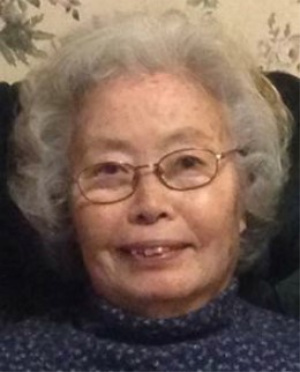 Reiko Giuliani, 90, of Lancaster County, PA, passed away peacefully on Friday, March 29, 2019. She was born on February 15, 1929 in Fukuoka-ken, Japan to Fujitaro and Tatsu Abe; they preceded her in death. She was also preceded in death by 3 brothers and 2 sisters, all of Fukuoka-ken, Japan. She was married to and divorced from Gerald D. Giuliani who also preceded her in death. She is survived by her only and dearly beloved son Douglas Giuliani along with his wife, Jamie. She became a naturalized citizen of the United States in 1968. She worked for 18 years for Nissin Foods in Lancaster. She loved taking care of things for the home, and especially loved flowers and collecting pictures of birds. She entered into hospice care on March 25, 2019 and remained in their care up until her passing. She will be sorely missed by her family and friends. Services will be held on Tuesday, April 2, 2019 at 11:00 AM at St. Leo the Great Catholic Church, 2427 Marietta Ave, Lancaster, PA 17601. Friends may pay their respects from 10:00 AM until the time of service. Burial to immediately follow at St. Joseph New Catholic Cemetery in Bausman, PA.
Doug and Jamie, you are our prayers and thoughts! Love you both! Doug and Jamie, I send you my love in this time of sadness. You took loving care of her for many years. God will bless you for that devotion. I love you both. Thank you Aunt Cindy! Means a lot to us that we are in your thoughts and prayers. Thank you for the kind words. Always love talking with u. Love Doug. So sorry for your loss I know she was a very strong lady like our mom was. Our prayers and thoughts are with you.